Legal translations require a skill for legal peculiarities and exact language. As a qualified English and Spanish translator law and business are my specialist areas. 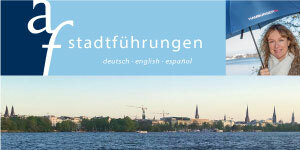 I translate legal texts from English and Spanish into German and from German into English. I have been working as a qualified translator for English and Spanish for over 20 years. In 2005 I established my own translation business and have since been doing freelance legal translations on a freelance basis. I translate for example legal opinions, statement of claims, fund presentations, shareholder reports. It is the individual service I provide and the quality of my translations that my clients value most about me. Me and my team make sure that your legal documents are translated in due time and have maximum quality. I cooperate with a team of translators specialised on legal and business translations. Klick here to find more information about my special subjects. Find more information about me, what I offer or read what my clients say about my services.